Let's discover St Tropez, synonymous with luxury and worldliness, but also with hidden corners, small shops and cafes. We will start our tour driving to Saint-Tropez. 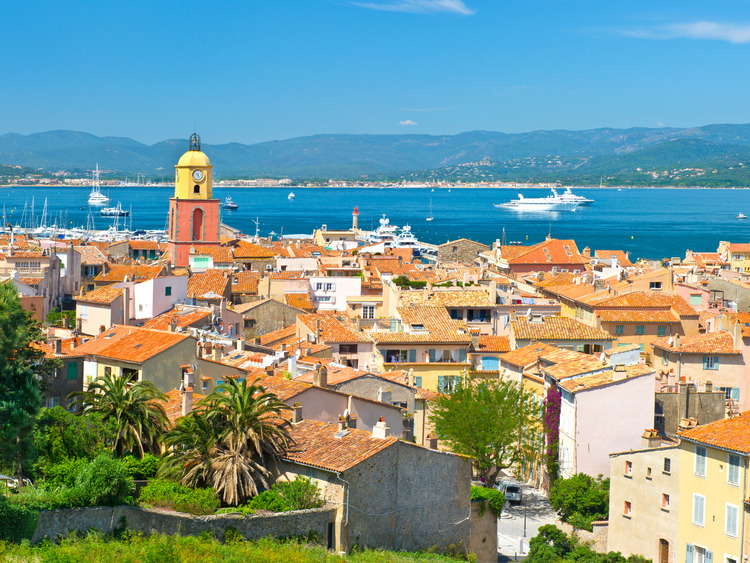 Initially a fortified stronghold and then a peaceful fishing village, Saint-Tropez became famous after the Second World War as a privileged destination for Parisians and in particular for directors of the French New Wave. Roger Vadim allegedly discovered Brigitte Bardot in Saint Tropez. During the half century that followed, Saint Tropez became a favourite destination of the international jet set, while its fabulous sheltered bay was a great attraction for sailing enthusiasts. Today many tourists still choose to visit the prestigious waterfront promenade, where the pink and tan houses of the Vieux Port shimmer in the sun. We will have some free time to explore the area of the Vieux Port, with its luxury yachts, small boutiques, galleries, cafés and restaurants. Public conveniences such as showers and baths are available on the island. There are bars and restaurants in the area. In the event of adverse weather conditions the tour may be cancelled. There are toilets on the boat.